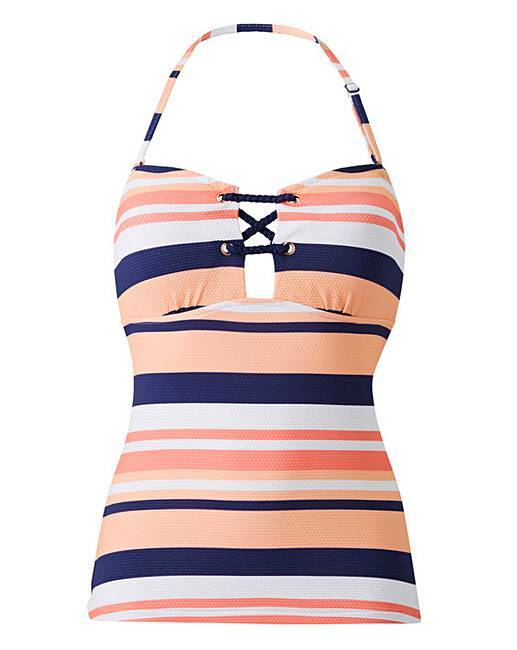 This textured tankini top features a beautiful soft multicoloured stripe. With removable strap detail allowing you to wear this as either a halterneck or a strapless style. Complete with removable foam cups for extra comfort. Pair with the matching bikini brief for the full look. 96% Polyamide, 4% Elastane. Lining: Polyester.